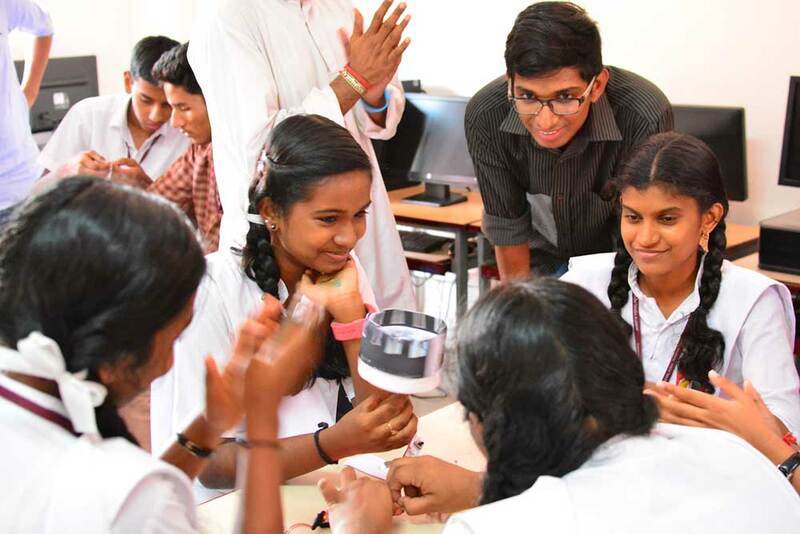 The recent thrust to impart21st century skills in schools has created a paradigm shift in education in many countries. 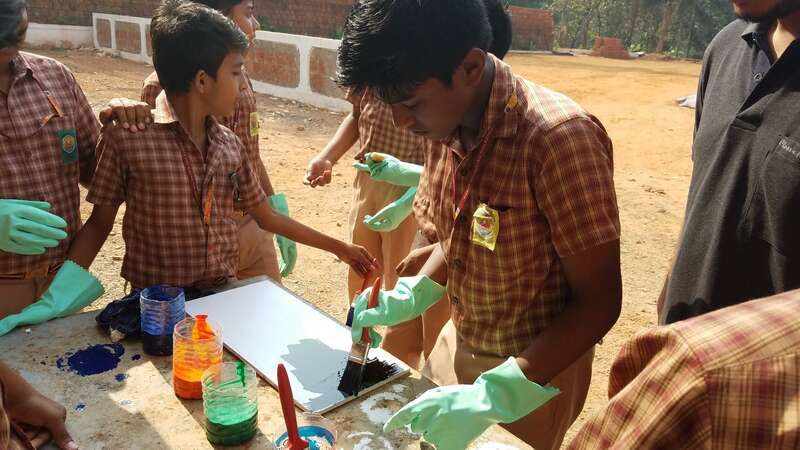 This suggests a shift in the notion of literacy to include various frameworks of thinking skills that aim to develop higher-order cognition in children. 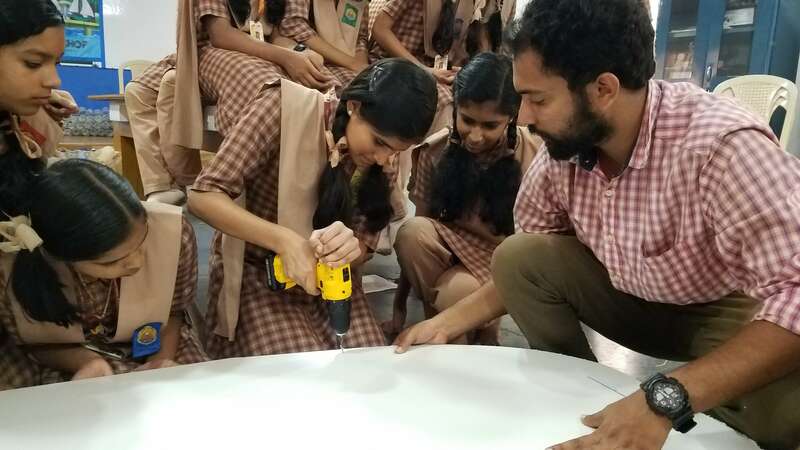 As of 2017, the 2nd Foundation workshops have been conducted for over 2800 students in 43 schools in the south Indian states of Andhra Pradesh, Kerala, and Tamil Nadu. 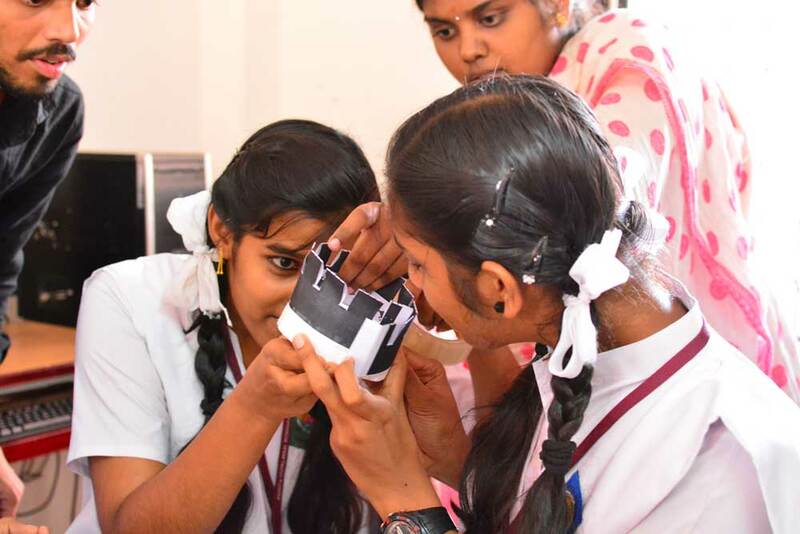 Maker skills can be broadly defined as teaching cognitive skills such as critical thinking, creativity, collaboration and spatial reasoning through hands-on tinkering, design thinking, and digital prototyping activities. 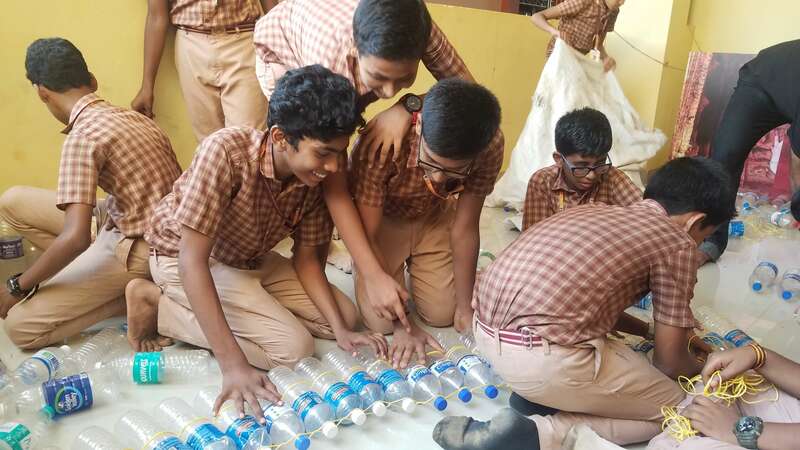 Our experience in conducting maker skills has informed us on how the children perceived these skills, their inhibitions, the challenges they face and what support needs to be extended to them to overcome these obstacles and to nurture their creativity. 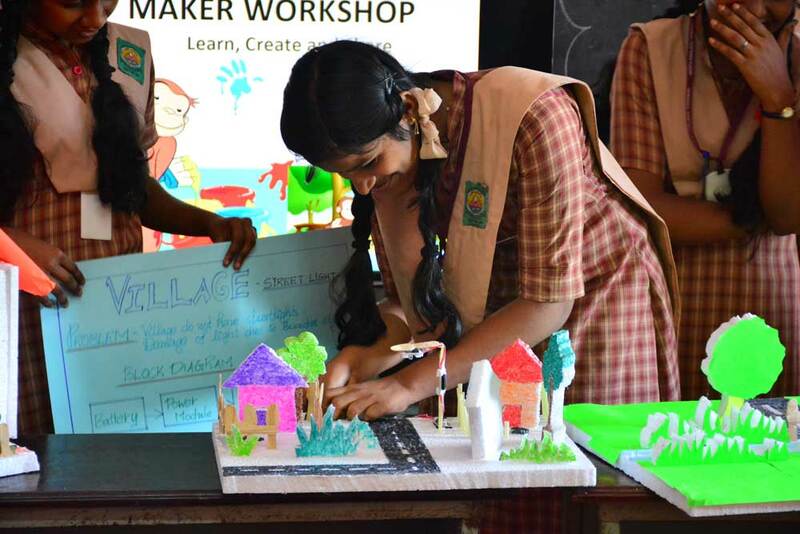 The maker workshops are designed primarily for children in middle and high school, keeping in mind the additional need for contextualizing it to a rural audience. 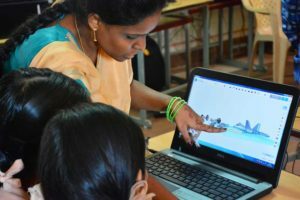 The workshops consist of training on functional skills such as 3D modeling, comprehending design and user interaction and learning to tinker and prototype with local materials. 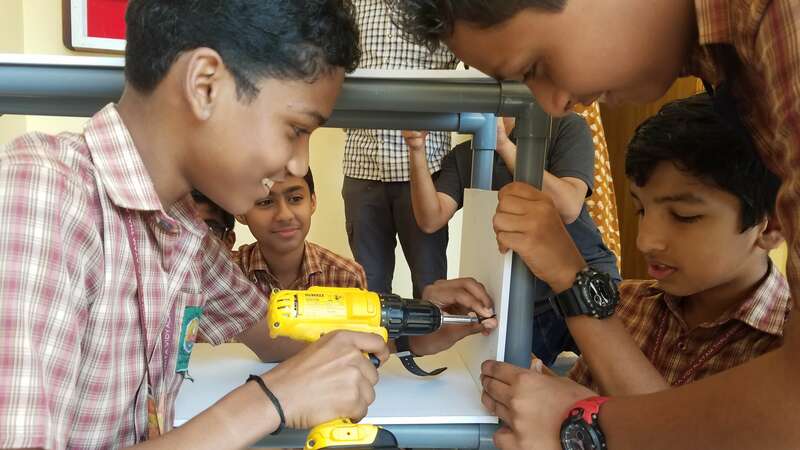 We realize, based on our experience conducting maker workshops, the need to explore creative ways to teach these skills in a colorful, fun-filled environment, utilizing a problem-based approach to motivate children in tinkering. 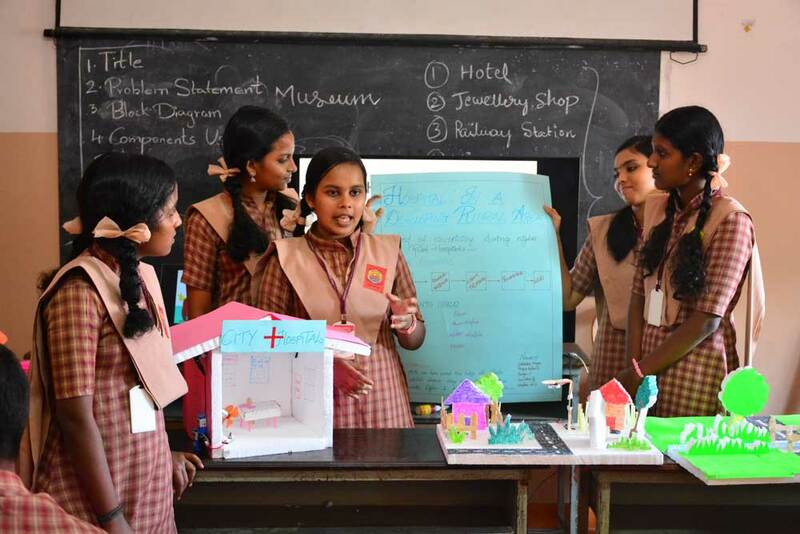 Further the need to contextualize the learning experience offering meaningful projects and analogies are critical to effective communication of concepts and higher-order skills. 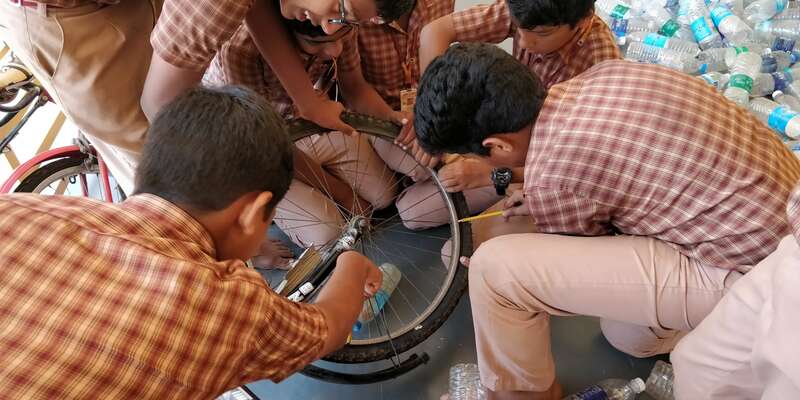 The maker workshops have inspired us to seek more engaging ways to introduce tinkering in resource-constrained environments such as rural schools in India. The 2nd Foundation makerspace at AMMACHI Labs provides access to digital prototyping tools such as 3D printers, Laser cutters, and CNC routers. 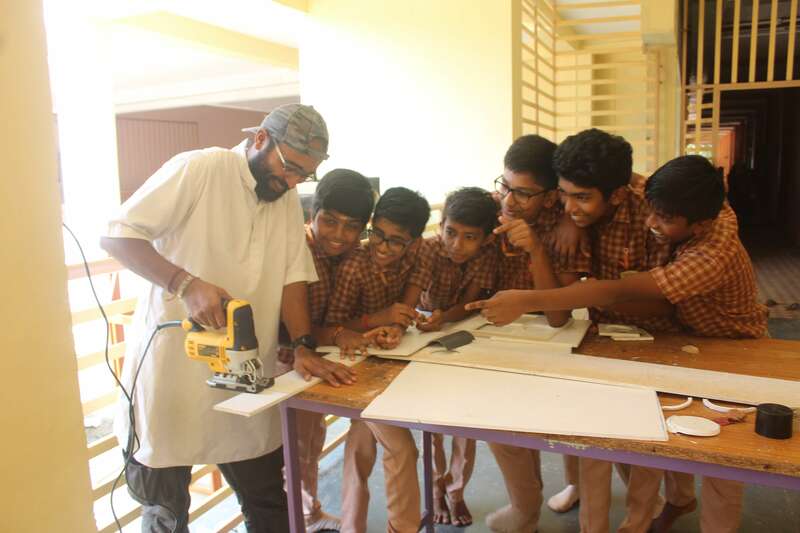 The makerspace is designed to foster creative projects with its large collection of tools for woodworking, metalworking and electronics prototyping. 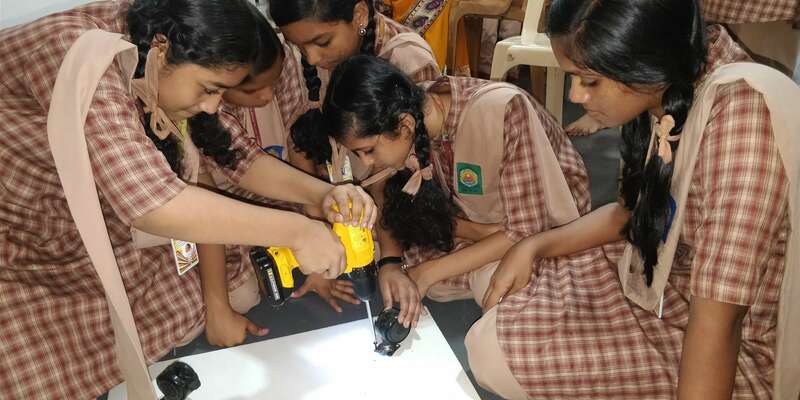 The makerspace acts as our community engagement center for conducting maker workshops where we meld art and engineering to spark children’s’ imagination and creativity. 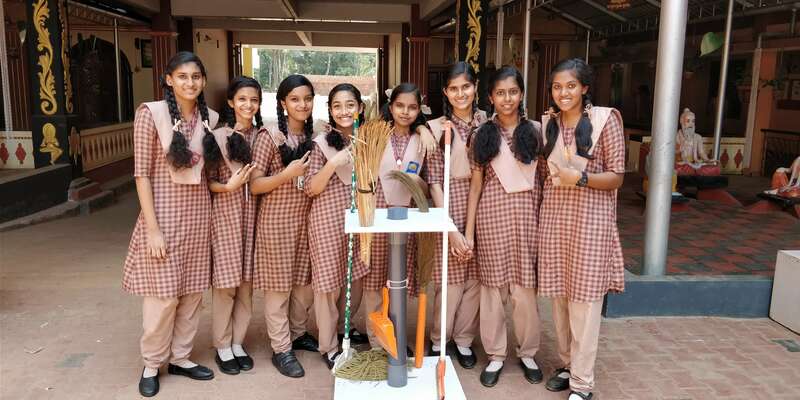 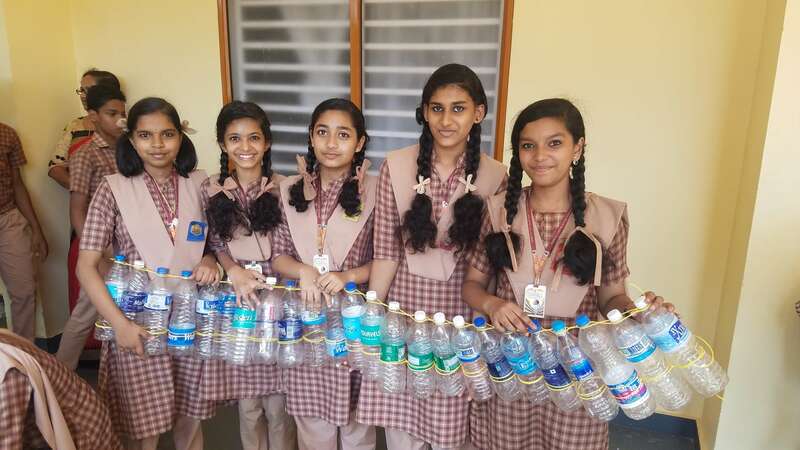 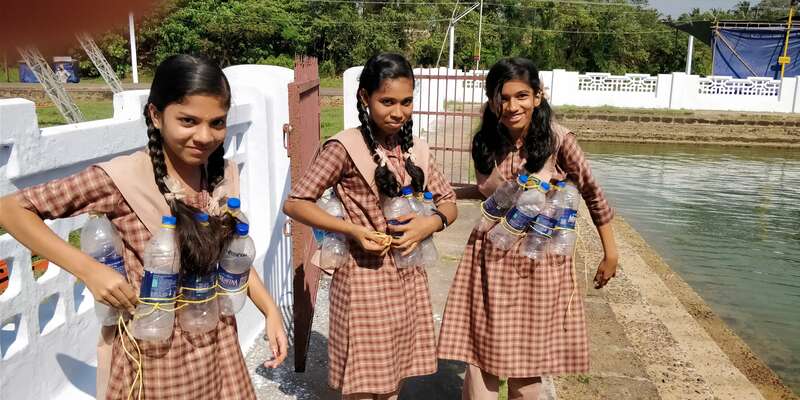 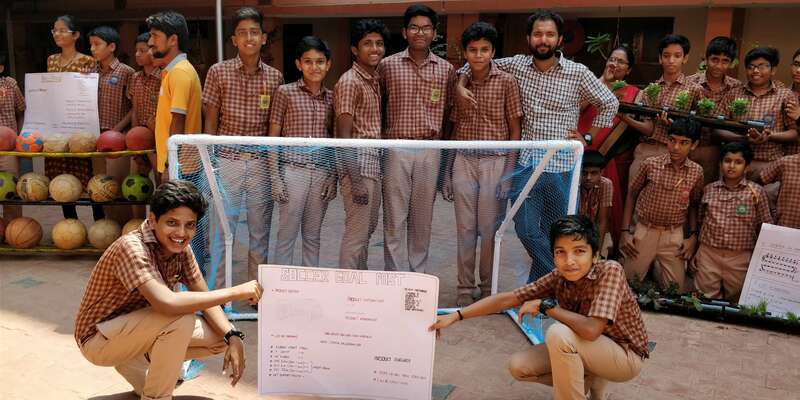 The students of Amrita Vidyalayam Thalassery have embarked on a series of workshops where they are building floating bicycles, boats made of waste plastic bottles, rockets propelled by water, and various other tinkering activities. These activities form part of the curriculum for the school and are imparted to the students through the Atal Tinkering Lab in the school. 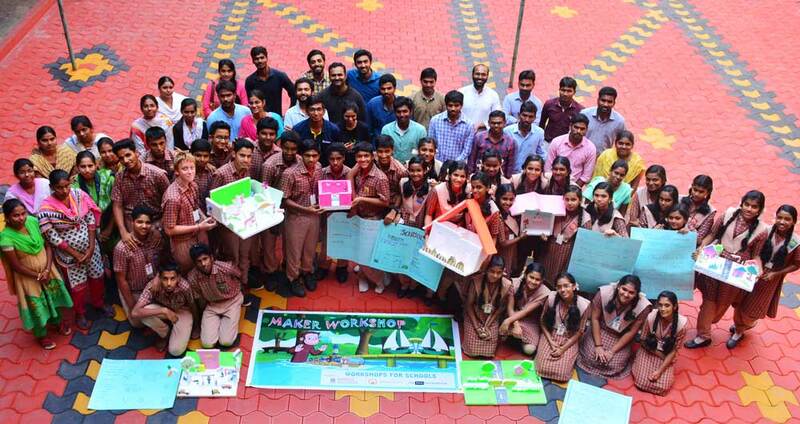 The first in the series of workshops called ‘The 2nd Foundation Maker Workshop’ is being conducted by a group of researchers led by Akshay Nagarajan from Ammachi labs, Amrita Vishwa Vidyapeetham at the school. 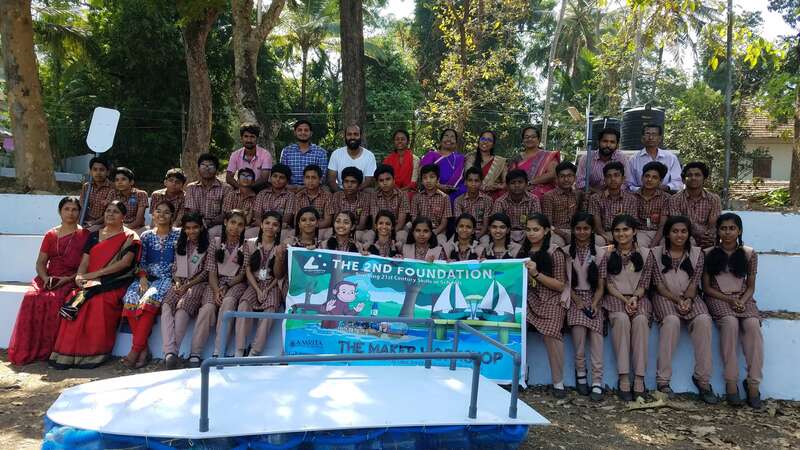 The 2nd Foundation workshops have been designed to prepare school children for the future, by teaching critical skills like computational thinking, robotics, maker skills, life skills and social problem-solving skills. 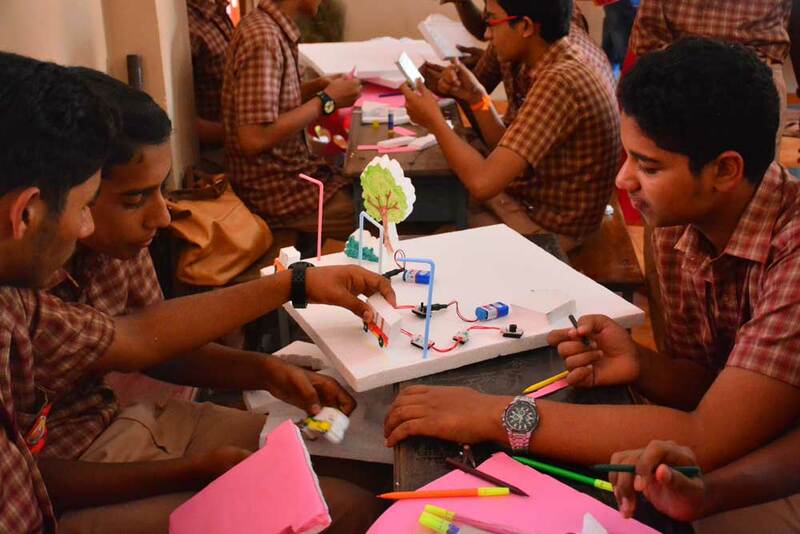 In the one-week Maker workshops, the students of Amrita Vidyalayam Thalassery have been taught various 21st century skills such as design thinking, 3D product design, electronic circuit design and hands-on tinkering. 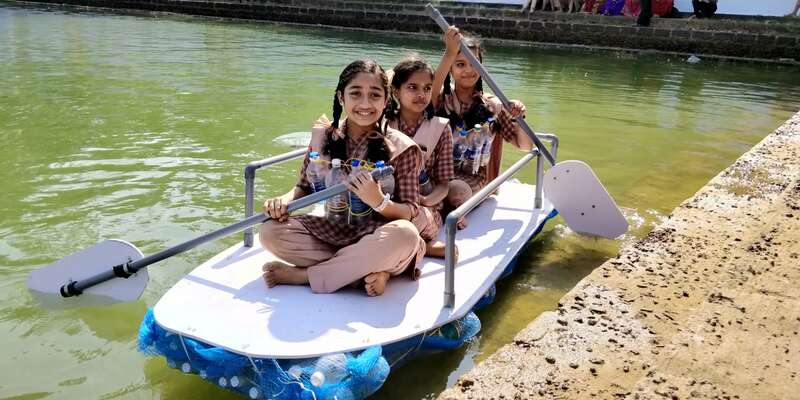 As part of the tinkering sessions, the 8th standard students have created plastic bottle boats and floating bicycles that they set afloat on a nearby water body to test its functionality. 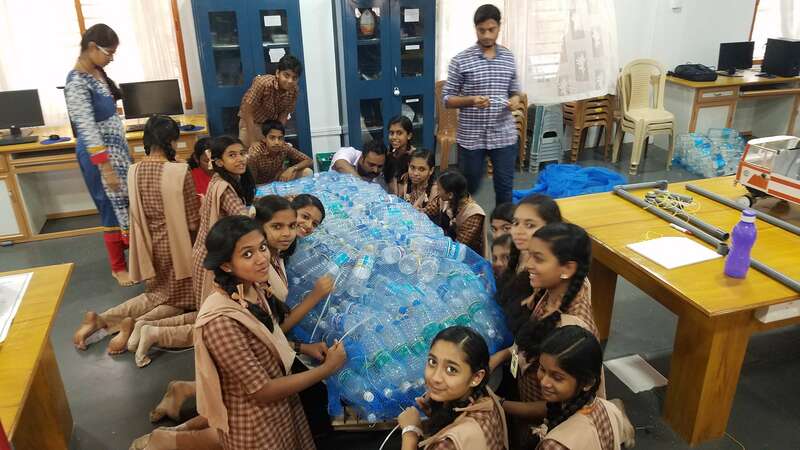 “Tinkering activities such as these cultivate important cognitive skills such as critical thinking, collaboration, and creativity in students and have led to several innovations in our school”, said Bri. 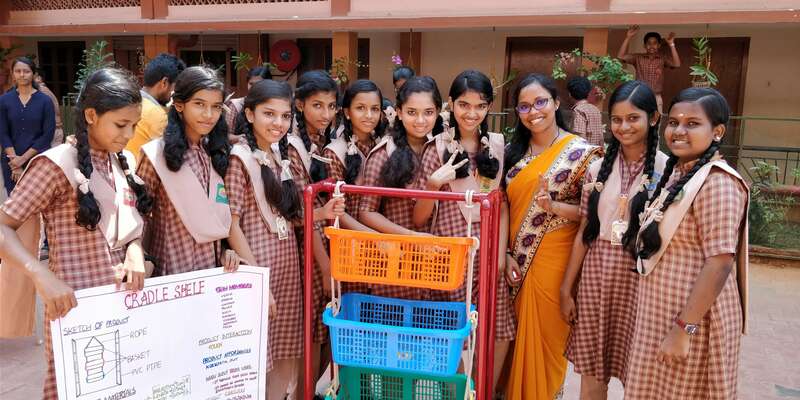 Sheela, Principal of Amrita Vidyalayam, Thalassery. 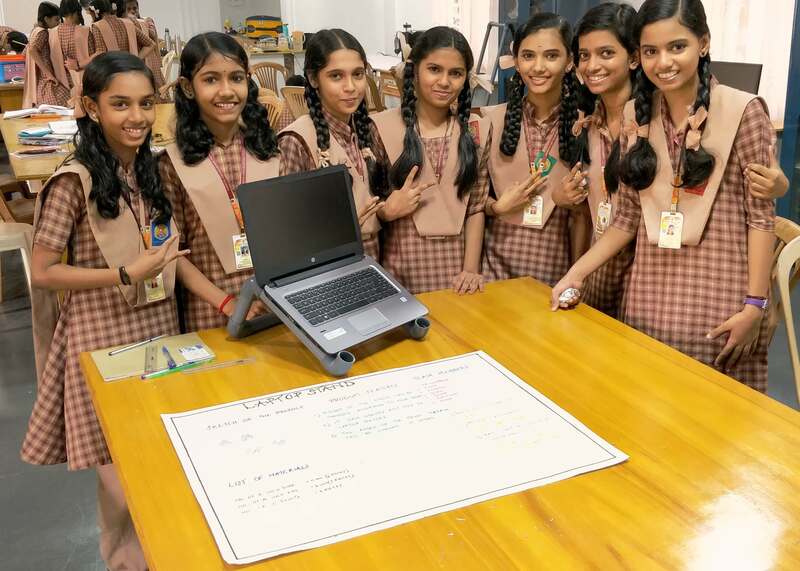 The Atal Tinkering Lab at Amrita Vidyalayam Thalassery is blossoming into a center for creativity and innovation among the students and has several bagged several achievements since its inception in 2017. 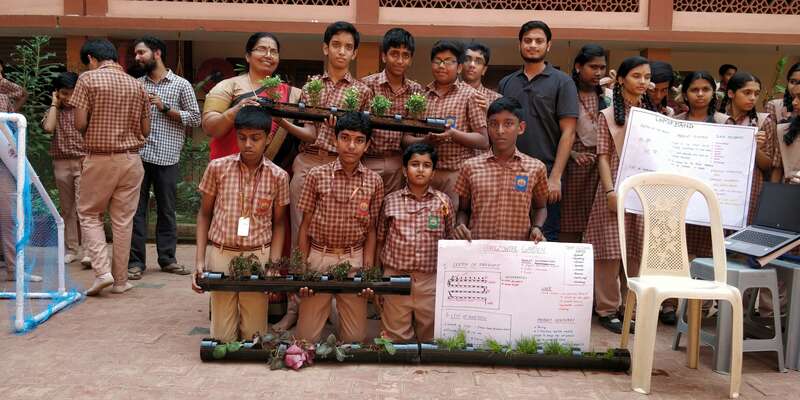 The school won the first prize at the national level in the challenge of the month event conducted by Atal Innovation Mission in May 2017. 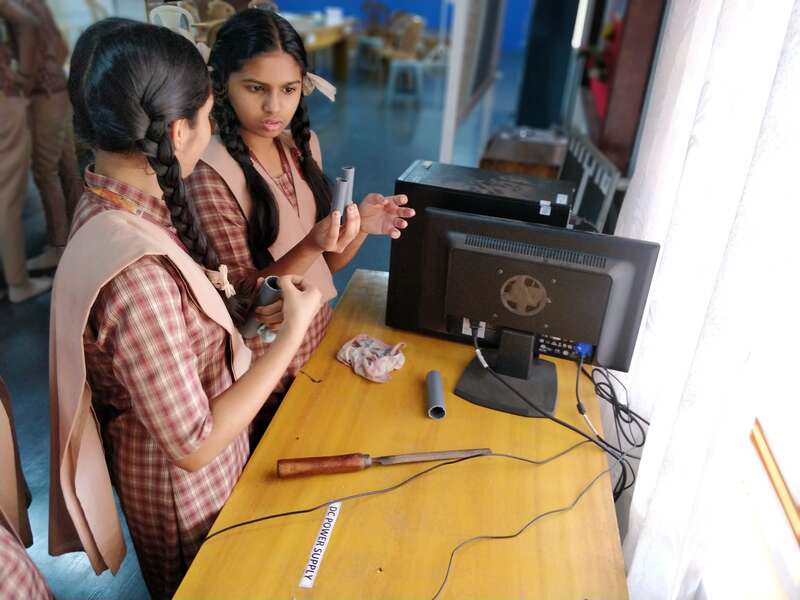 The school had conducted a Tinkering Marathon in October in which students developed a solution for Smart Mobility to prevent drunken driving and promote road safety. 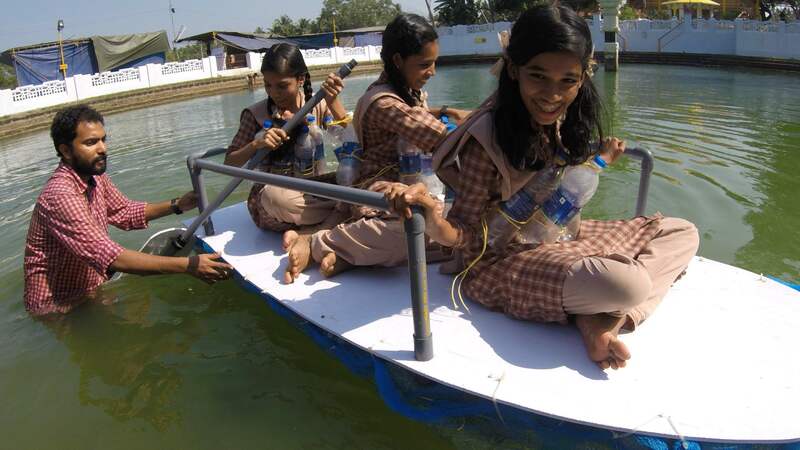 The project was selected among the top 100 in over 10,000 innovations submitted by schools across India. 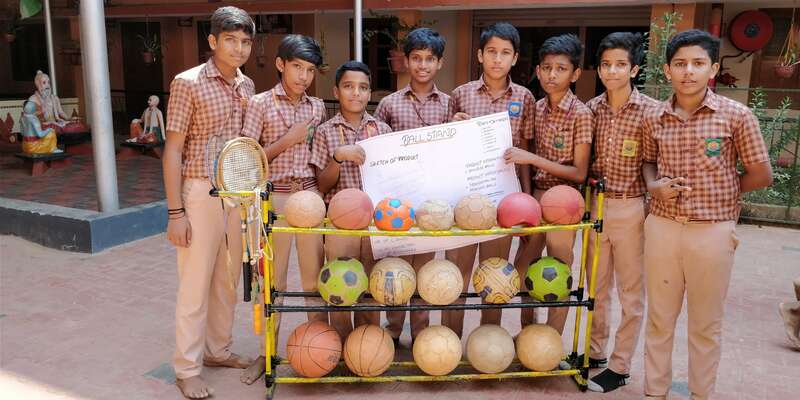 This project was also invited by the Atal Innovation Mission to be exhibited at the Maker Faire in Bangalore. 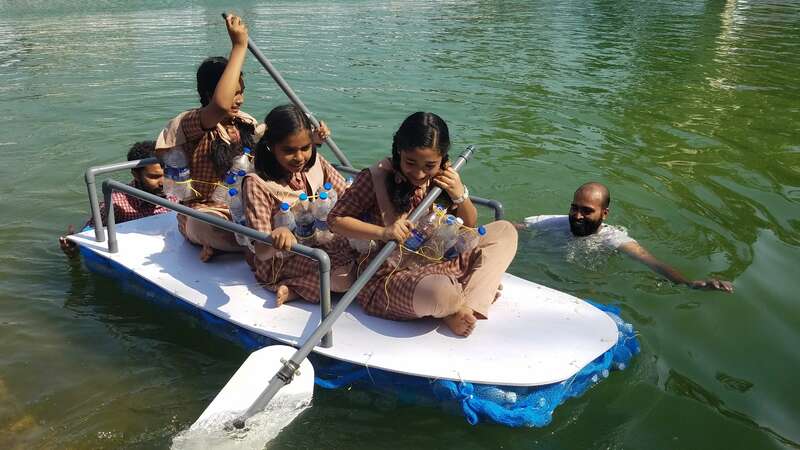 Another group of students carried out a water quality-testing project that was presented as a paper publication at the Global Humanitarian Technology International Conference in 2017 at San Jose, USA. 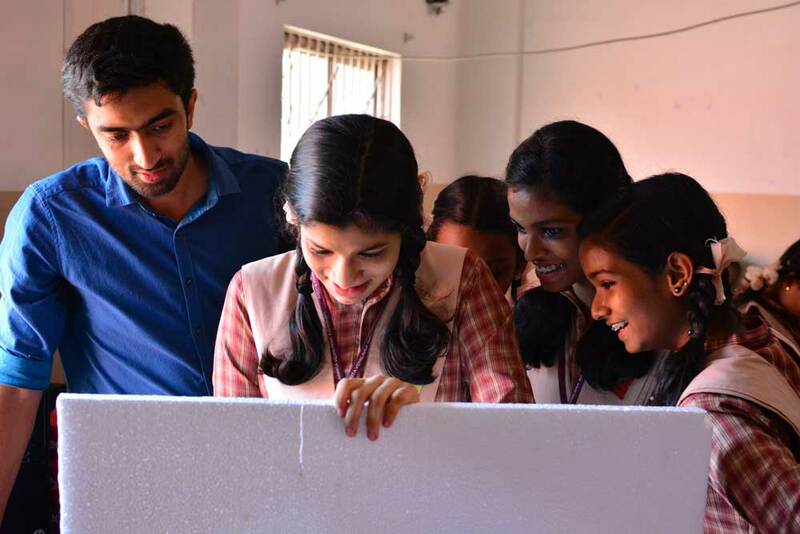 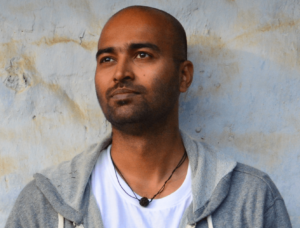 Akshay Nagarajan is the Technical Lead for Maker Education Research and the Co-founder of the 2nd Foundation Makerspace at Ammachi labs, Amrita University. Akshay has a background in Robotics and Haptics has worked with AMMACHI Labs since its inception in 2009, developing Haptic Simulators and Robotic Applications for humanitarian purposes. 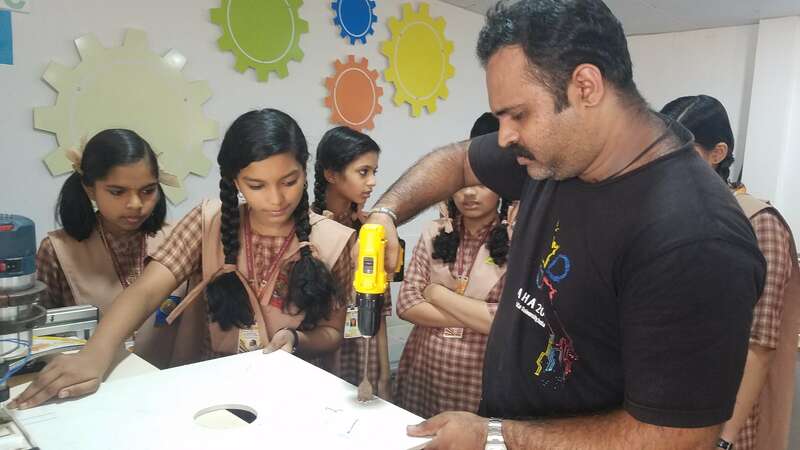 He is passionate about teaching children hands-on maker skills and design thinking and conducts and coordinates maker workshops in several Indian schools and in rural communities. 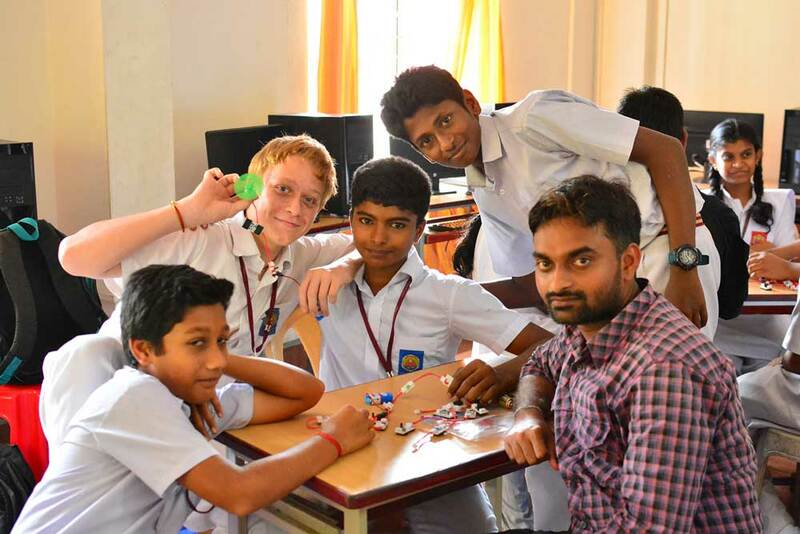 He has worked with leading robotics labs at Stanford University and the University of Michigan at Ann Arbor, extending collaboration for AMMACHI Labs with these centers in robotics, and is an active participant in international Makerfaires and hackathons.